Guy is a Professor in the Westminster Law School at the University of Westminster, and formerly an adjunct Professor at the Department of Sociology and Political Science at the Norwegian University of Science and Technology (NTNU) in Trondheim, Norway. He holds degrees from the University of Leeds (BA Philosophy), University of Leicester (LLM), and Manchester Metropolitan University (PhD). In addition he was awarded a Diploma in Law (CNAA, Polytechnic of Central London, was called to the Bar in 1993 (Middle Temple) and is a Fellow of the Royal Society of Arts. 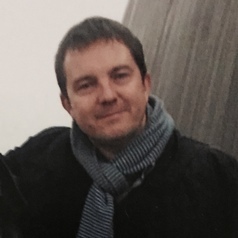 He is Co-Director of the Centre for Law, Society and Popular Culture, editor of the Entertainment and Sports Law Journal and of the Routledge Book series Studies in Law, Society and Popular Culture.